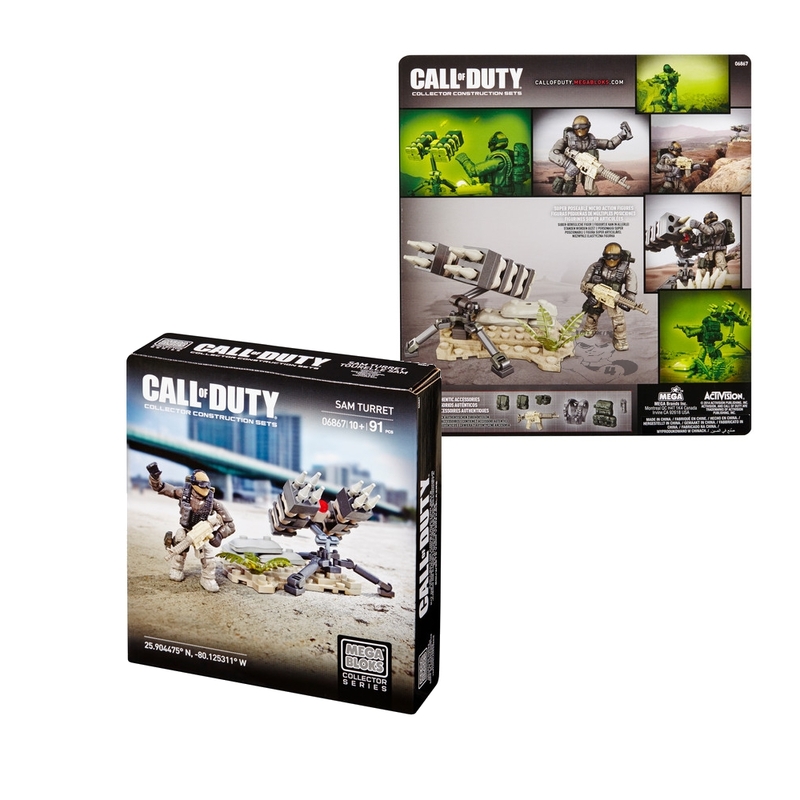 Product Detail Summary: Build the Call of Duty SAM Turret Collector Construction Set by Mega Bloks. This Surface-to-Air-Missile (SAM) Turret is a powerful weapon used for assistance in countering enemy airstrikes, and allows for highly detailed authentic play. This buildable set includes a sandbag bunker, eight surface-to-air-missiles, and a buildable rotating launcher to help clear the skies. Specialized micro action figure is outfitted with an assault rifle, backpack and tactical vest, and is ready to deny the enemy the advantage of air support. For ages 10 and up.